Hello! 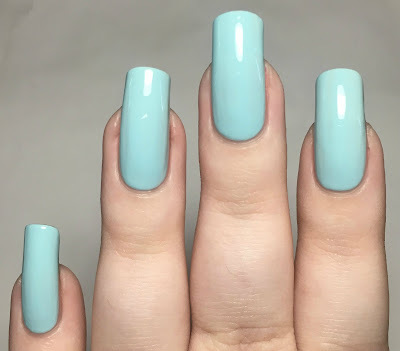 Today I'm back with some nail art to share with you. 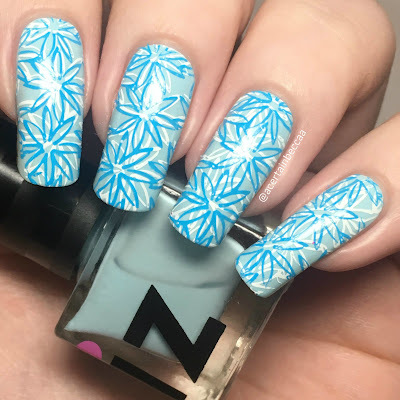 After swatching iZ Beauty of London 'Baby Blue' from April's 'Soft Scoop' MeeBox (full unboxing and swatches here), I couldn't resist adding some quick stamping. 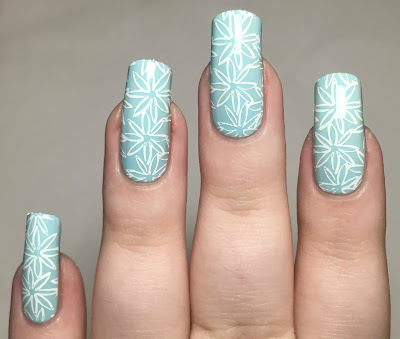 I pulled out all of my plates, and ended up with this double stamped look. Read on for more info! iZ Beauty 'Baby Blue' is, as the name suggests, a baby blue creme. Being a light colour it does have a slightly streaky formula, but it evens out nicely. 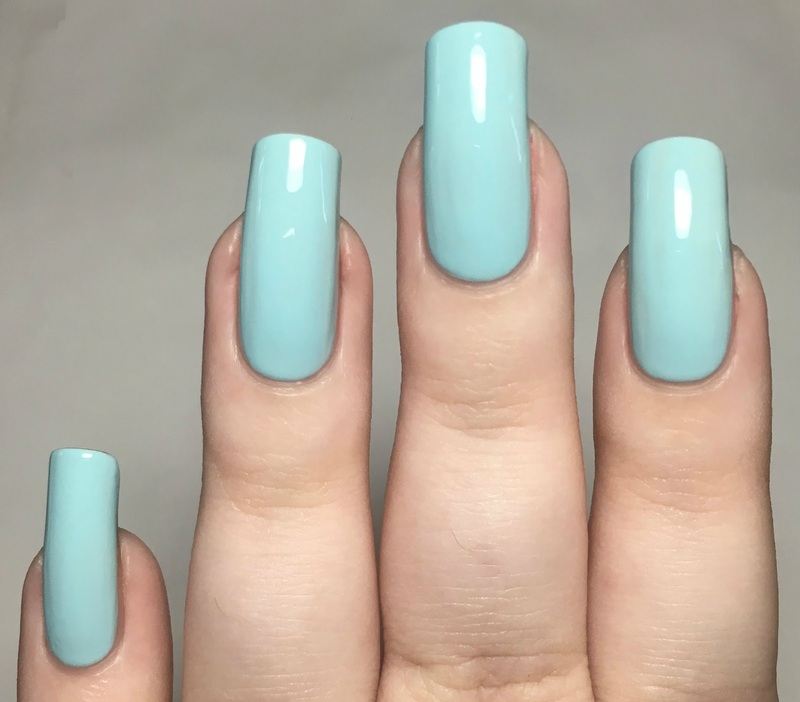 Below is three coats topped with iZ Beauty's 'Plump' topcoat. 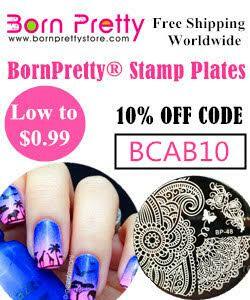 For my stamping, I used Lina Nail Art Supplies plate Make Your Mark 01. I stamped the flower pattern using MoYou London 'White Knight' and a clear stamper and scraper from Born Pretty Store. I then stamped again using MoYou London 'Turquoise Mint'. What do you think? I love how they came out! I have been obsessed with both the Lina Make Your Mark plates and double stamping recently - they go together so well! I haven't quite mastered layered stamping yet (how hard is it to line the images up properly?! ), so for now it is my go-to technique. 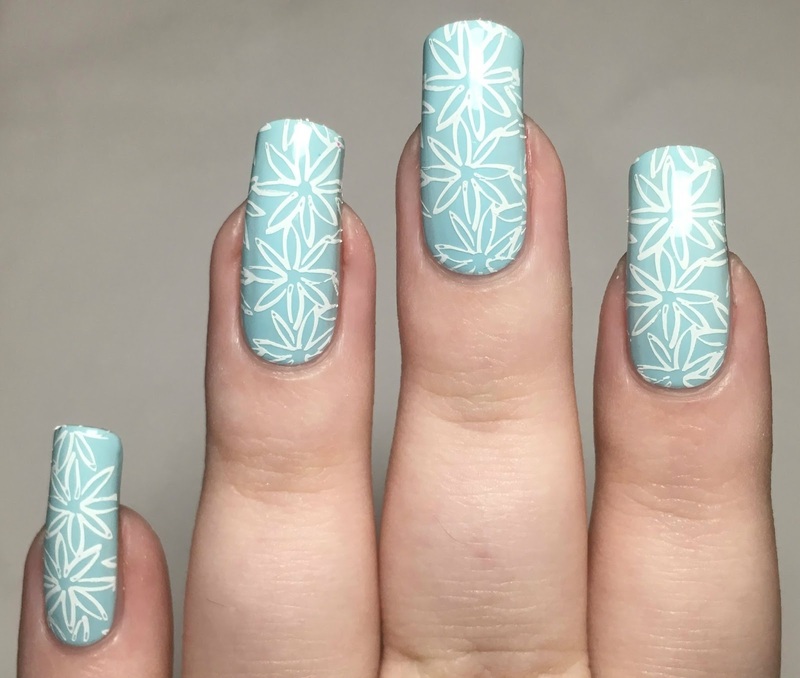 Love double stamping and it looks so lovely with these colours.